Barbara Shallue, 54, writes and blogs from her empty nest in the hills outside of Austin, Texas. While raising three children with her husband, Barbara has collected an eclectic assortment of jobs, including fire-fighting chemical plant technician, elementary school librarian, and waiter in a winery bistro. When possible, she begins each day with a walk down her dirt road, camera around her neck, snapping photos of her two dogs, the wildflowers, birds, insects, or just the glint of sunlight on a leaf. Her love of photography started in childhood with a hand-me-down Boy Scout Instamatic, but has evolved into a portrait and fine art photography business. She loves to photograph everything -- nature, people, architecture -- but also writes about them on her blog, in essays, and works of fiction. She's currently working on a historical fiction based on her great-great grandfather's memoir, a middle grade novel, and a picture book. When not photographing or writing, she enjoys practicing on her drums, dancing, and spending time with friends and family. A few months ago, a friend asked me to take some photos of a colt she needed to sell. As I stood in the middle of the pasture, I got caught up in the beauty of her horses and snapped photo after photo. This picture is one of my favorites, a mare that reminded me of Ginger in "Black Beauty." 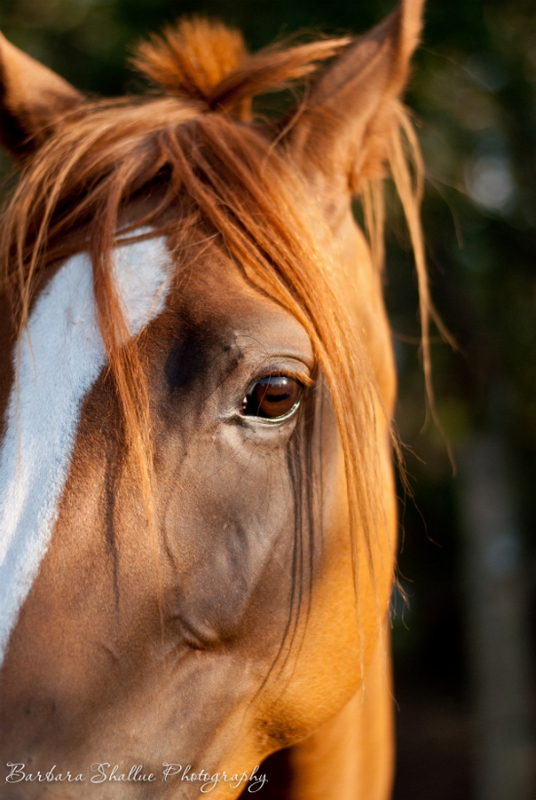 I love peering into this horse's eye, hoping for a glimpse of its story, hoping her story has been a happier one. Are you 50 or older? Want to submit your own art or photography for consideration? Send us your work at 50arts@huffingtonpost.com. See here for more details.